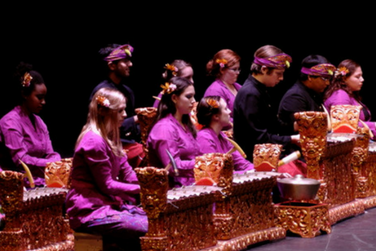 Featuring musicians and dancers from the Indonesian Embassy, come experience an evening of traditional Balinese music played on the gamelan, a gong kebyar style percussive instrument. Showcasing complex interlocking rhythms, multifaceted expressions and the delicate motions of Balinese dance. Gamelan Saraswati takes its name from Saraswati, the Hindu goddess of knowledge and the arts.